Scott was born and raised in Saugus Massachusetts, where he graduated from Saugus High with the class of 2003. 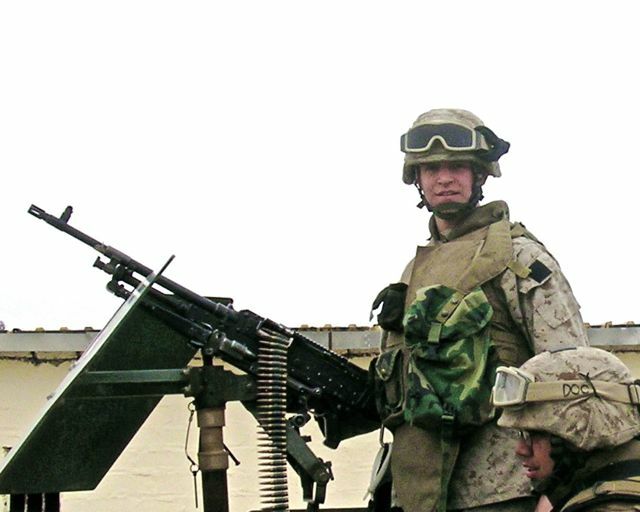 He joined the United States Marine Corps in 2004 and was assigned as a machine gunner with Kilo Co, 3rd Battalion, 8th Marines, based out of Camp Lejeune, NC. His first deployment to Iraq was in 2005, when he was in Fallujah for the first major Iraqi elections, and was decorated for his actions in helping to repel a major insurgant attack on the Abu Ghraib prison compound. To read the summary of action for Scott's NAM citation, click here. He returned to Iraq in early 2006, again as a machine gunner with 3rd Plt, Kilo Co, but this time to Ramadi. Scott was killed alongside two other Marines and their Navy corpsman, on the morning of April 2, 2006, as a result of a remotely detonated roadside bomb. The device completely destroyed the vehicle they were patrolling in, and killed four of the five occupants, including Scott who was atop the vehicle maning the machine gun. Eventually we'll add more here, but for now, if you want to read more about Scott, click here for the Boston.com article from 2006.